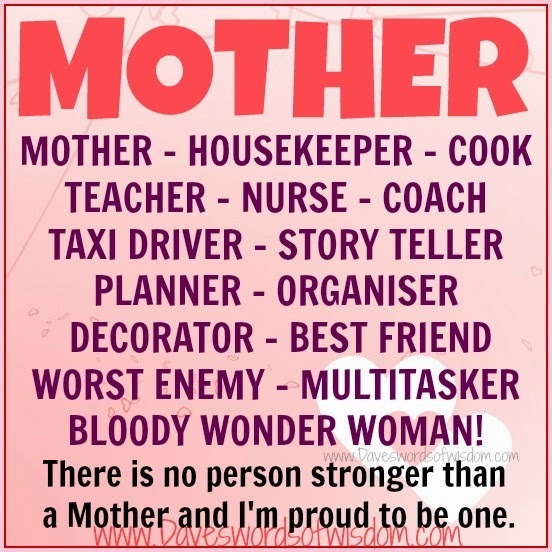 Daveswordsofwisdom.com: What it means to be a Mother. Worst Enemy - Multitasker - Bloody Wonder Woman! Love your stuff but on this one you misspelled Organizer.